On August 15, 2014, a three judge panel of the United States Court of Appeals for the District of Columbia Circuit (D.C. Circuit or Court) unanimously denied the appeals of forty-five petitioners and sixteen intervenors, upholding the Federal Energy Regulatory Commission’s (FERC) Order No. 1000. South Carolina Public Service Authority v. FERC, Nos. 12-1232 et al. (D.C. Cir. Aug. 15, 2014). FERC’s landmark rulemaking, issued in August 2011 and supplemented thereafter by Order Nos. 1000-A and 1000-B, implemented a series of significant reforms related to the regional and interregional planning and development of electric transmission facilities, including mandatory cost allocation to beneficiaries of new transmission projects and the elimination of rights of first refusal (ROFRs) from FERC-jurisdictional tariffs and agreements (Order No. 1000 or Final Rule). The D.C. Circuit’s much-anticipated decision held that FERC acted within the scope of its authority under the Federal Power Act (FPA) when it adopted Order No. 1000, and that the Final Rule was not arbitrary and capricious or unsupported by substantial evidence. The Court’s decision sets the stage for possible future appeals to the Supreme Court and additional contested proceedings at FERC as the regions continue to implement Order No. 1000’s controversial regional planning and cost allocation reforms. Regional Planning: Public utility transmission providers are required to participate in a regional transmission planning process that produces a regional plan for the development of new, regional transmission facilities, and which includes procedures to identify transmission needs driven by public policy requirements. Interregional Planning: Adjacent planning regions must establish procedures to share planning data and identify more efficient interregional solutions to transmission needs. Non-Incumbent Reforms: Transmission providers are required to remove from FERC-jurisdictional tariffs and agreements any provisions that give incumbent transmission providers a right of first refusal to construct new regional transmission facilities. The regional planning processes implemented by transmission providers must also be open and non-discriminatory, and establish clear criteria for the identification of regional projects and for developer selection. 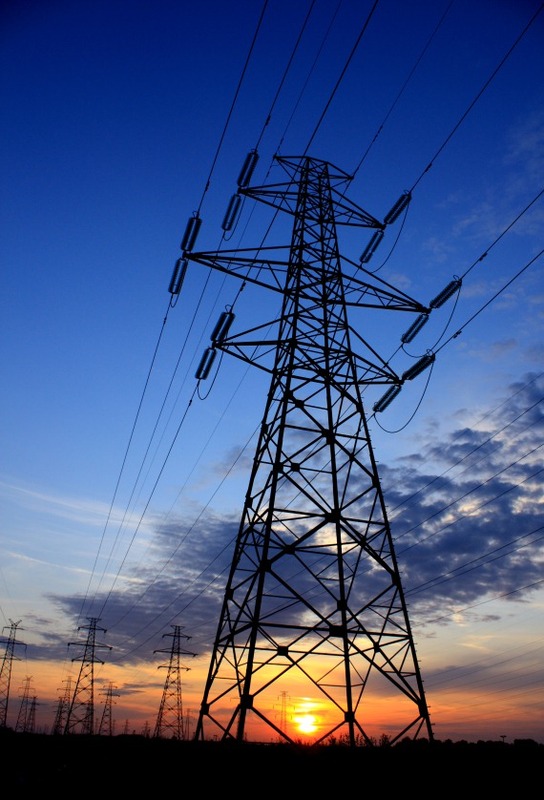 FPA Section 206 authorizes FERC to require transmission providers to participate in a regional planning process. FERC reasonably concluded that transmission planning is a “practice” that affects transmission rates within the meaning of FPA Section 206. Further, FPA Section 202 does not restrict FERC from promoting and encouraging voluntary transmission interconnection and coordination because FPA Section 202 covers operational coordination, not planning prior to operation. There was substantial evidence of a theoretical threat of unjust and unreasonable rates for transmission service in the absence of Order No. 1000’s regional planning reforms to support adoption of the Final Rule. FERC’s determination of the necessity of transmission planning reform was not based on guesswork, but was supported by prior Commission proceedings (including Order No. 890) and comments from the Department of Energy, industry consultants, and FERC technical conferences. FERC satisfied its evidentiary burden because it is allowed to rely on such reasonable past evidence to support this rulemaking. FERC had the authority under FPA Section 206 to require removal of ROFRs from FERC-jurisdictional tariffs and agreements upon finding such provisions to be unjust and unreasonable practices affecting rates, and that determination was supported by substantial evidence and was not arbitrary and capricious. FERC reasonably concluded that ROFRs posed a competitive barrier to entry that made the transmission market inefficient and increased costs for transmission customers. The inclusion of ROFRs in tariffs and agreements is a practice affecting a rate; therefore, FERC is authorized to regulate ROFRs to the extent it finds them unjust and unreasonable. The Court also declined to evaluate whether and how the Mobile-Sierra doctrine (i.e., the presumption that freely-negotiated contracts are just and reasonable unless found to seriously harm the public interest) will ultimately apply to particular contracts. The Court found the issue not ripe because FERC has already deferred its analysis of contract-specific ROFRs to future orders on Order No. 1000 compliance filings. FERC reasonably determined that regional planning must include consideration of transmission needs driven by public policy requirements. FERC’s requirement to consider public policy in transmission planning bears directly on the provision of transmission service and is not too vague because the mandate merely requires regions to establish processes for identifying and evaluating public policies that might affect transmission needs. Regions may choose their own manner of determining how best to identify and accommodate such policies and such broad discretion does not make the mandate vague. FERC reasonably relied upon the reciprocity condition to encourage non-public utility transmission providers to participate in a regional planning process. The Court found the reciprocity condition in Order No. 1000 to be fundamentally the same as that in Order Nos. 888 and 890, except broadened from transmission service to also include transmission planning and cost allocation. FERC provided a reasoned and adequate basis for this expansion and was not arbitrary or capricious in deciding to stop at a conditional rather than a categorical requirement for non-public utilities. Finally, FPA Section 211A does not require FERC to mandate non-public utility participation in planning and cost allocation, and FERC reasonably declined to employ its Section 211A authority to adopt such a mandate in favor of Order No. 1000’s incremental and incentive-based approach. Overall, the D.C. Circuit’s opinion is a carefully written legal analysis that upholds Order No. 1000 without blessing or expanding its policy objectives. The Court’s holding sustaining Order No. 1000’s policy on allocation of transmission expansion costs to beneficiaries is likely to be the most discussed facet of the opinion. The cost allocation holding is legally significant both for what it may have done, and for what it did not do. The Court held that the language and context of FPA Section 206 does not limit FERC’s authority to oversight of practices involving prior commercial relationships. Petitioners argued that Section 206 precluded the Commission from allocating costs “beyond pre-existing commercial relationships.” Yet, the Court found that “Section 206 empowers the commission to fix any ‘practice’ affecting rates, and the Commission reasonably understood beneficiary-based cost allocation – or its absence – to be a practice affecting rates.” Thus, the Court held that the “use of ‘any’ to describe ‘rate,’ ‘public utility,’ and ‘transmission’ bestows authority on the Commission that is not cabined to pre-exiting commercial relationships of any given utility.” This reasoning could expand the scope of activities potentially subject to FERC oversight under FPA Section 206. FERC was explicit in the Final Rule to distinguish between transmission cost allocation and transmission cost recovery, and the Court picked up on this distinction, emphasizing that Order No. 1000’s reforms “do not require any utility to pay any cost or define the mechanism for doing so.” While this distinction may have enabled Order No. 1000’s cost allocation provisions to survive judicial review, it remains to be seen what significance a cost allocation decision will have in the absence of a contractual or tariff-based cost-recovery mechanism. Within the footprints of the existing RTOs and ISOs, developers may construct projects identified in the regional transmission plan and the RTO or ISO Open Access Transmission Tariff (OATT) provides a mechanism to recover costs from identified beneficiaries. Outside the RTOs and ISOs, construction decisions and cost recovery mechanisms are not as straightforward. Moving forward, it may be expected that one or more petitioners will petition the Supreme Court for certiorari. Notwithstanding any such appeal, the transmission planning regions and stakeholders will continue to implement the Final Rule’s reforms, which has the potential to spur further litigation.